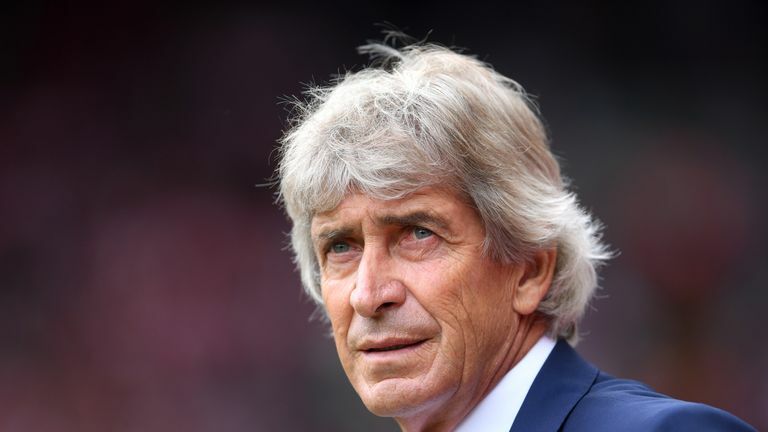 West Ham boss Manuel Pellegrini says he is not concerned by reports that his starting line-ups are being leaked in advance. It was reported on Friday that Pellegrini was angered by a Twitter account which has been successfully predicting West Ham teams for months. Pellegrini, who has seen his side lose their first four Premier League matches, said on Friday: "First of all, it is not true - it is a lie. I am not angry about that. "Not aware (of it) because normally, in every team I manage before, the day before the game I work with set-pieces. "So, all the players know the day before - who will play, who will not play. "So many players can talk with other players. I am not keeping the starting 11 until three or four hours before the game. "There are a lot of reasons why some people can know the team." Asked if he knew who was responsible for the tweets, Pellegrini added: "I don't have any idea. "I am not worried about that, I am only worried about trying to win three points. "If you play against Chelsea, against Watford, against Liverpool, you are sure it will be the same starting XI (from those teams). "I don't hide too much about the starting XI."